Watching TV is a favourite part of the day. 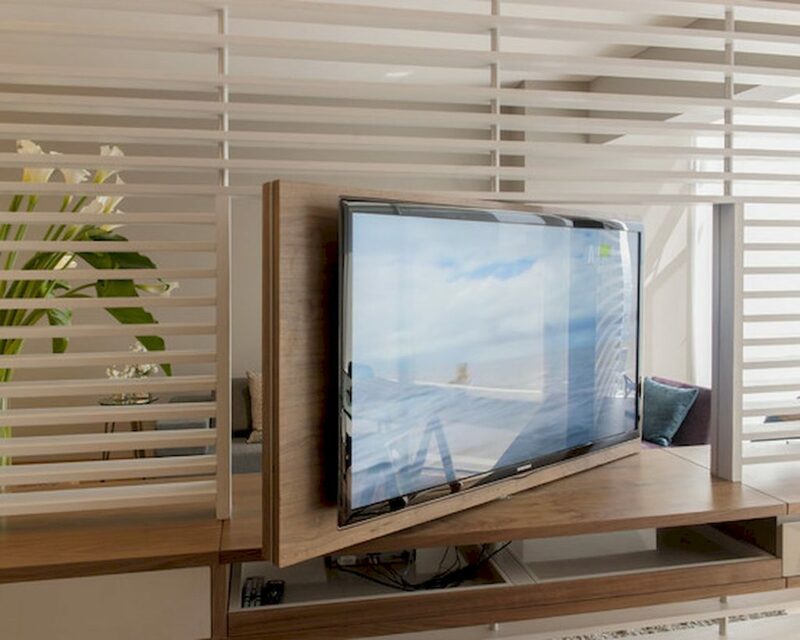 TV wall units can be our favourite part too if we choose the best design. 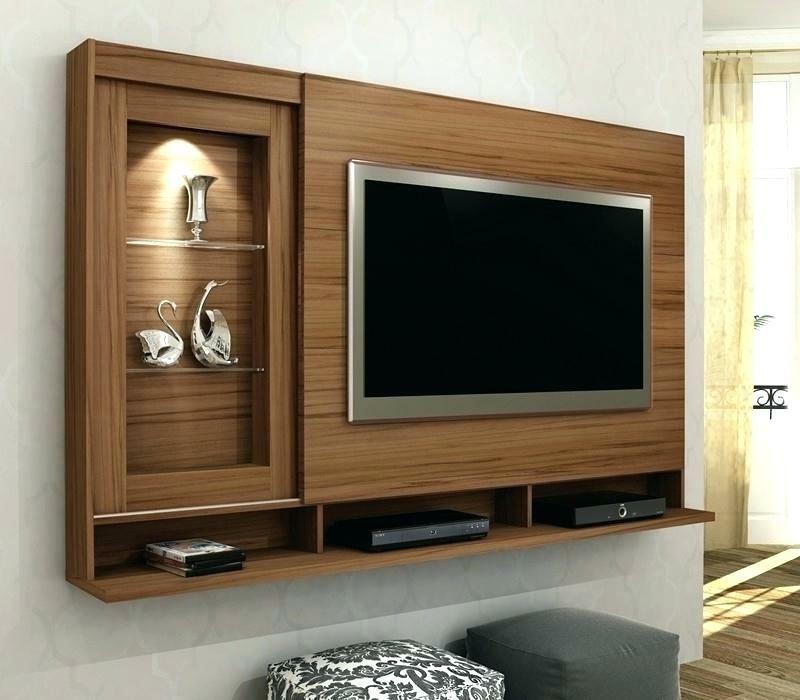 Keep your heads up in these phenomenal space-saving TV wall units. 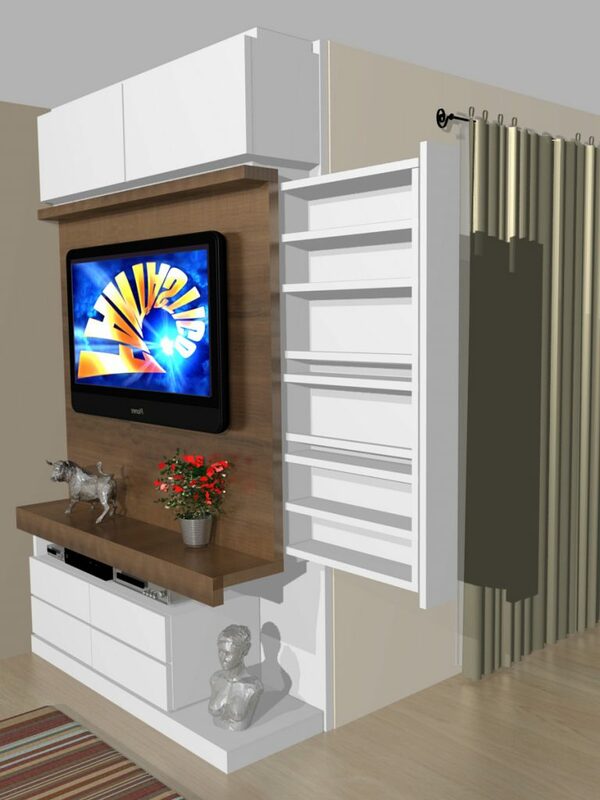 We will present to you a wardrobe, room partition, shelves, bookcase, bedroom sliding door and stones wall used as a place for your TV. Find the best ideas to inspire you in one place, in one post, in 10 images…Scroll down! 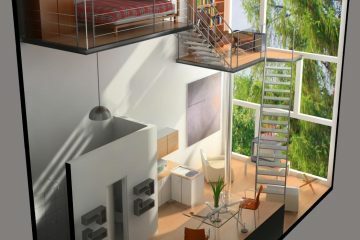 Once you see the following images you will find ideas about space-saving, modern design and contemporary room design! 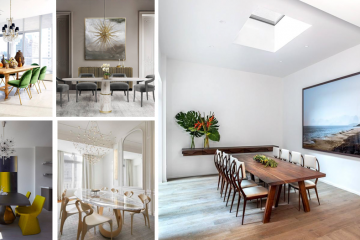 Check our website to find more ideas about interior/exterior design! 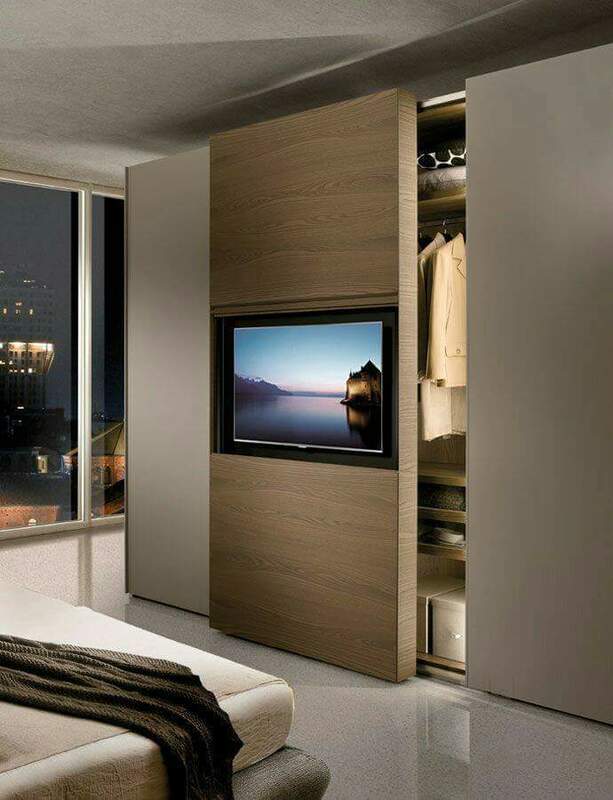 Maybe the smartest idea for the living room is to choose wardrobe as a place for your TV. Arrange here your special souvenirs to complete the decor. 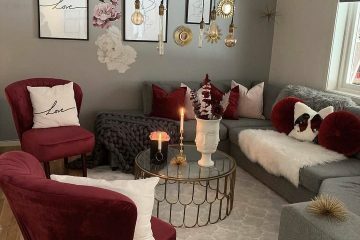 Find inspiration in this stylish idea I found for you. 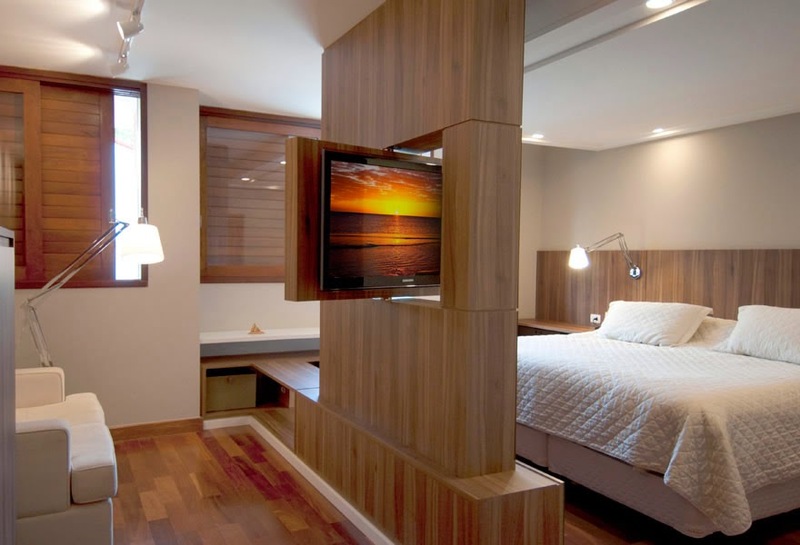 Wooden stand TV can have another usage, as a room divider in your sleeping room. Spend some time to see this wonderful romantic look that your house desperately needs. Pay attention to bring enough light in a room for watching TV. Place it exactly on the window room divider. 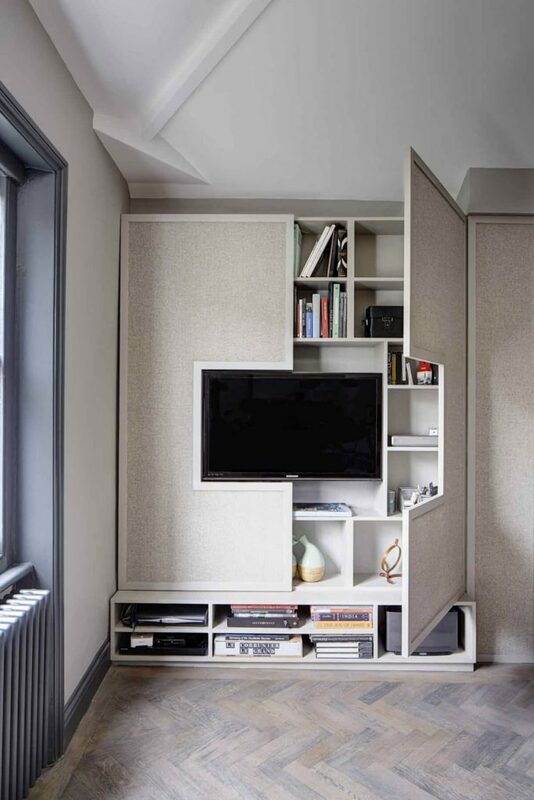 What do you think about room partition made of TV wall units stands? Wow, I love this idea. Love at first side! 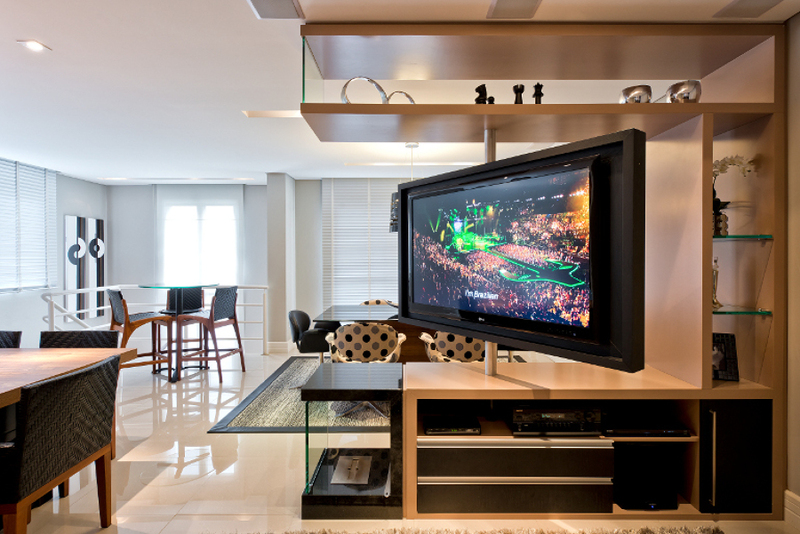 Wherever you are doing in the house you can still watch your favourite show! Here is another great idea about how to combine shelves with TV stand. Rotate your Tv wherever you go! Incredible, smart, lovely, space saving idea we all need in the house! Don’t we? On the first side, you will think is a simple wooden room divider, but when you turn on you will see an EXTRA idea. TV stand! 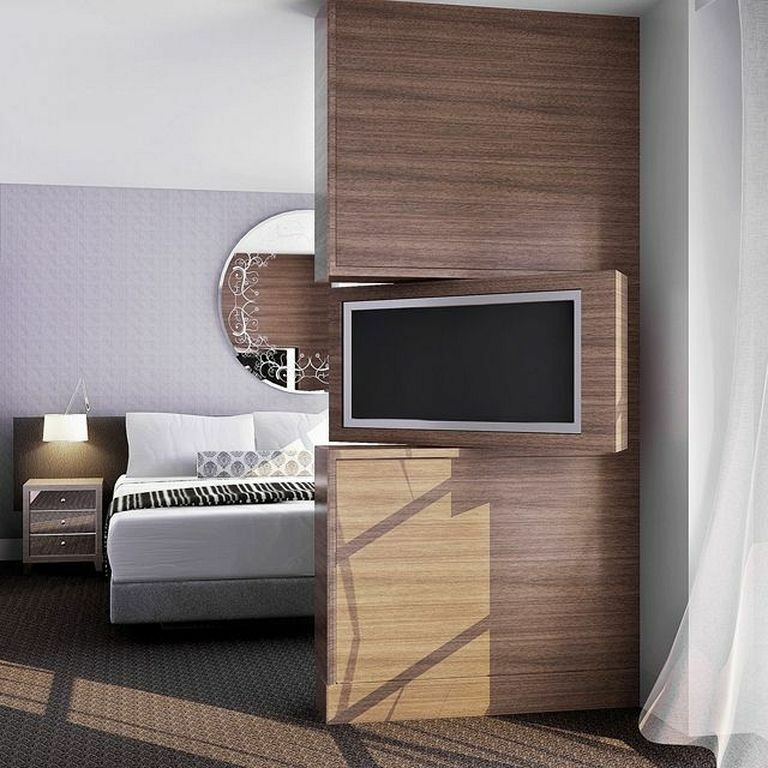 Here is a great solution for the bedroom. Make multi-purposing sliding door by using this combination. I love this idea. Use wardrobe for arranging your books there. But also, make some space for placing there your TV. Stones wall gives one house a warm and elegant look. 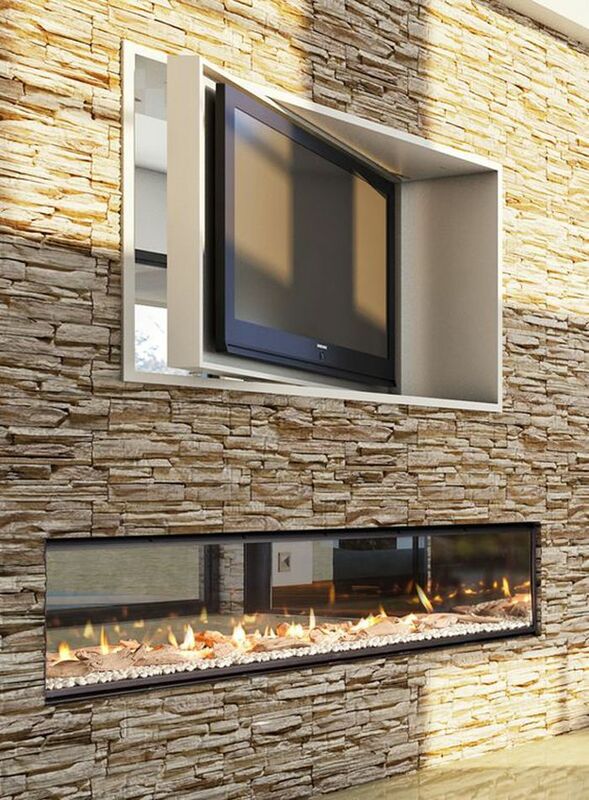 This is why you may use it as a space for your fireplace but also for your modern TV. If I’m going to renew the wall design in near future, I will definitely choose this for my own living room. At the end of this article, I want to thank you for your attention. We always try to choose the best ideas to save you time and to inspire you meanwhile. Hope that some of the previous ideas caught your eyes!